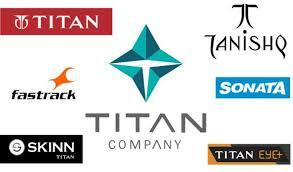 Titan Company's consolidated net profit rose 43.49% to Rs 413.19 crore on 35.35% rise in total income to Rs 5934.11 crore in Q3 December 2018 over Q3 December 2017. The result was announced after market hours on Friday, 1 February 2019. Hero MotoCorp reported sales of 582,756 units for the month of January 2019. The weak market sentiment from the previous quarter spilled over to January and continued to dampen sales. The industry has been witnessing lower retail off-take in the past few months due to multiple factors, like the credit crunch and higher two-wheeler insurance costs. The announcement was made on Saturday, 2 February 2019. Tata Motors said that as muted consumer sentiments continued in January 2019, Tata Motors Commercial and Passenger Vehicles Business sales in the domestic market witnessed a drop of 8% at 54,915 units as against 59,441 units sold over last year. The announcement was made on Saturday, 2 February 2019. MOIL's net profit rose 15.87% to Rs 120.26 crore on 9.47% rise in total income to Rs 380.12 crore in Q3 December 2018 over Q3 December 2017. The result was announced on Saturday, 2 February 2019. Godfrey Phillips India's net profit rose 26.57% to Rs 78.46 crore on 12.04% rise in total income to Rs 683.49 crore in Q3 December 2018 over Q3 December 2017. The result was announced on Saturday, 2 February 2019. Shares of Xelpmoc Design and Tech will debut on the bourses today. The initial public offer (IPO) of Xelpmoc Design and Tech received bids for 66.40 lakh shares, as against 20.40 lakh shares on offer, National Stock Exchange of India (NSE) data showed. The issue was subscribed 3.25 times.